Definition: Fair market value (FMV) is an estimate of the market value of a property, that is a voluntary transaction between a willing buyer and a willing seller, both having equal bargaining power and a reasonable knowledge of the pertinent facts. It differs from the intrinsic value that an individual may place on the same asset based on their own preferences and circumstances. Prospective buyers and sellers are reasonably knowledgeable about the asset, behaving in their own best interests, free of undue pressure to trade and given a reasonable time period for completing the transaction. Given these conditions, an asset’s fair market value should represent an accurate valuation or assessment of its worth. 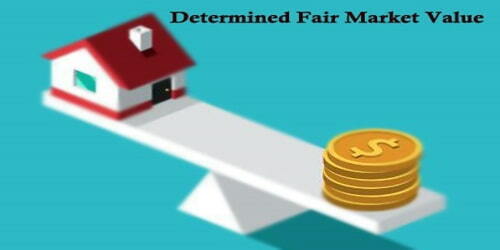 An estimate of fair market value is usually subjective due to the circumstances of place, time, the existence of comparable precedents, and the evaluation principles of each involved person. Opinions on value are always based on subjective interpretation of available information at the time of assessment. This is in contrast to an imposed value, in which a legal authority (law, tax regulation, court, etc.) sets an absolute value upon a product or a service. Municipal property taxes are often assessed based on the fair market value of the owner’s property. As the difference between the purchase price and the property’s fair market value can be substantial, tax authorities are interested in knowing the current fair market value. Fair market value is also often used in the insurance industry. For example, when an insurance claim is made as a result of a house burning down, the insurance company covering the loss will often only cover the amount up to the fair market value. Comparative Market Analysis: People can also estimate fair market value (FMV) of an item by comparing the property in question to other similar models on the market and additional market considerations. In the real estate industry, this is called a comparative market analysis (CMA)–it is commonly performed by a licensed agent. The recent selling prices of other similar items, whether the property is a building or equipment, is a reasonable estimate of what it would sell for if placed on the market today. Professional Appraisal: Another way to find the fair market value of a property is to hire a real estate appraiser. A real estate appraiser is a certified professional with training and experience concerning the many factors that determine property value. When real estate appraisers value a property, they use slightly more sophisticated models of comparative market analysis. Replacement Cost: This method is often used with insurance companies. If the value of an item has changed over time, the cost of replacing the item for the same thing should be taken as an indicator of the fair market value. Hence, if a person purchased a home for $200,000 and it burns down, rebuilding the same home may cost $250,000. The $250,000 figure is the fair market value using replacement cost; not the $200,000. Selling Price: This the simplest method, though it is accurate only if the transaction takes place near the time the fair market value is needed. Selling price, according to the IRS, is the actual selling price of the property that is received by an organization. However, the selling price will only give an accurate idea of fair market value if the transaction takes place near the time the fair market value is needed. Even if the property is sold very recently, many factors can also lead to a property being sold for less or more than fair market value. The season, marketing efforts, and the experience of the Realtor selling them home can all affect the selling price. This means that a property’s selling price is not always an accurate reflection of the home’s fair market value. Valuations by Third Party Websites: The fifth and final method is to use third-party websites that make estimates using their own proprietary formulas. These independent estimate services make calculations based on various pieces of data. For instance, Zillow, an online real estate estimate service, makes calculations regarding the fair market values of property based on public records data, like recent sales and statistics about an area. The company claims to have an error rate of only 0% to 3.6%. Fair market value is an impartial estimate that establishes a realistic price if the real property was sold in the existing market conditions. 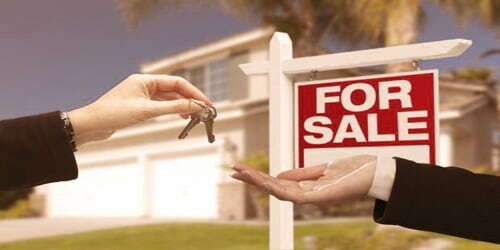 It provides a solid starting point for pricing a property for sale or inheritance. Without knowing the fair market value, the risk of loss or tax liability increases.